St. Nicholas Albanian Orthodox Church--2701 N. Narragansett Ave. The Danish Home--5656 N. Newcastle Ave.
Today we continue the capsule stories of how people from the 28 NATO countries helped build Chicago. The final part will be posted tomorrow. Albania—Chicago has never had a large Albanian population, and no real Albanian neighborhoods. The most prominent local person of Albanian ancestry was probably comedian John Belushi, who grew up in Wheaton. 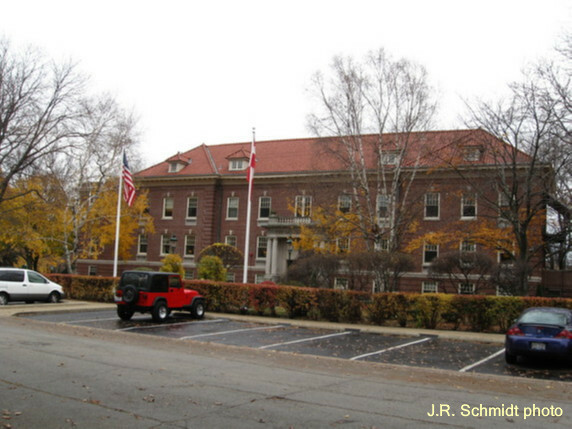 Croatia—Because Croatia didn’t become independent until 1991, Chicago’s Croatians were commonly classified as “Yugoslavians.” Most of the local community life was centered around a few parishes, such as St. Jerome’s in Armour Square. Mayor Michael Bilandic and Alderman Ed Vrdolyak are the city’s most famous Croatians. Denmark—Most of the Chicago’s earliest Danish immigrants settled along the axis of Milwaukee Avenue, close to other Scandinavians. By 1910 there were nearly 20,000 Danes in the city, the majority of them located near North Avenue in Humboldt Park. From there the newer generations moved northwest and gradually dispersed. Greece—Greeks began arriving in the city as early as 1840. By the turn of the 20th Century, a thriving community called the Delta was established around the area of Harrison and Halsted. Unlike most other ethnic groups, a large percentage of Greek immigrants remained in America only long enough to make their fortune, then returned to their native land. But enough of them stayed to make Chicago’s Greek settlement one of the country’s biggest. Today over 100,000 people of Greek descent live in metro Chicago. During the 1960s, the new University of Illinois campus displaced many residents, and the Greek community dispersed to such areas as Lincoln Square. However, a remnant of the city’s historic Greektown remains on the Near West Side, along Halsted just north of the university. Iceland—In all the years I’ve been in Chicago, I’ve only known one person of Icelandic descent. It was the early 1970s, and she lived near Diversey and Central—which you might say made Cragin the city’s Icelandic neighborhood. If there are any more Icelanders out there, let me know. 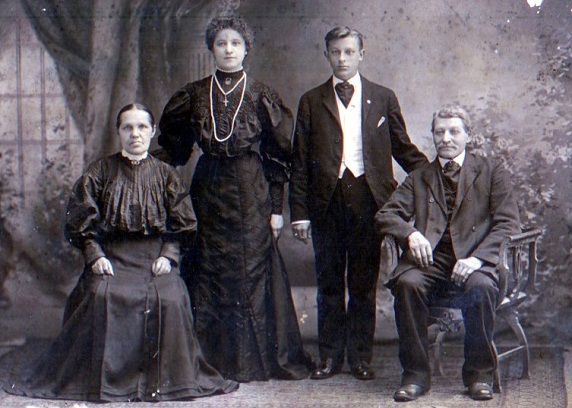 Norway—Norwegians were among the earliest immigrants to put down roots in Chicago. They lived along Milwaukee Avenue, mainly in Logan Square. 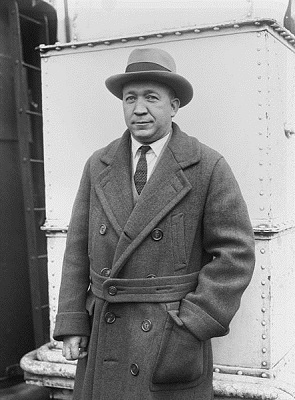 By 1900 there were over 40,000 Norwegians in Chicago, including future football legend Knute Rockne. Though the community is no longer concentrated in one area, a Norwegian Constitution Day Parade is staged annually in Park Ridge. Poland—Chicago’s first wave of Polish immigrants started arriving in the 1850s. They settled on the near Northwest Side. St. Stanislaus Kostka parish was founded in 1864, and as more people came, other churches were built. Business, cultural, and political organizations sprang up. The area near Milwaukee and Division became known as Polish Downtown. During the 20th century, Poles began moving up Milwaukee Avenue toward Niles. Meanwhile, Polish enclaves developed in Back of the Yards, South Chicago, Hegewisch, and other areas. The Poles became the city’s largest ethnic group, and Chicago was said to be "the second biggest Polish city in the world." Today the Chicago area counts about 1.5 million people of Polish ancestry. The community has dispersed, though many Poles still live along the Milwaukee Avenue corridor. The Polish Museum of America is located near the onetime Polish Downtown. Portugal—Portugal sent an official delegation to the 1893 Columbian Exposition. Yet as late as 1940 there were only 47 Portuguese residents in all of Cook County. The current metro population is said to be about 3,000. Spain—Though Chicago’s Hispanic community is large, the number of ethnic Spaniards has always been very small. The latest estimate puts the number of Spaniards in the Chicago metro area at about 500.